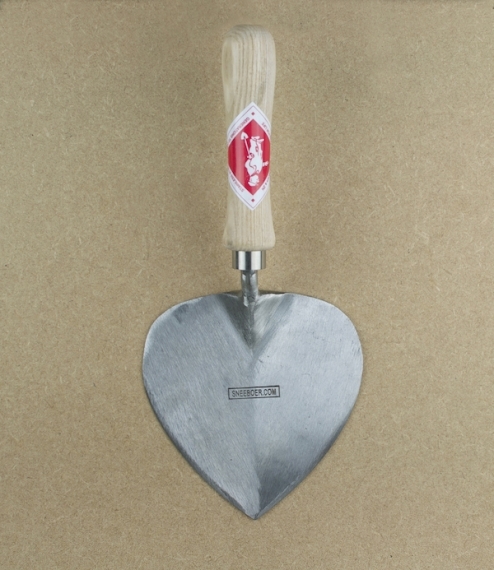 A strong flat ash handled planting trowel, used to rapidly cut holes in earth or compost, or with a twisting motion to create fairly shallow conical drills. Sneeboer began manufacturing garden tools in 1913. Originally designed to withstand the rigours of daily use by the professional horticulturalists and commercial growers of West-Friesland, and still forged, ground, and assembled entirely by hand, they offer the home or allotment gardener tools of rare and exceptional quality.